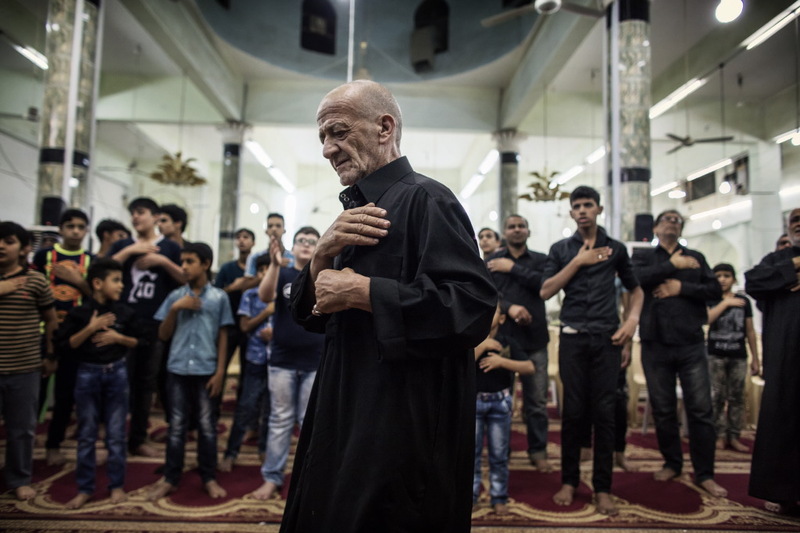 In the Iraqui city of Nasiriyah, where everything is precarious and unstable after years of violence and fear, war is not a memory but a wound that is still open. 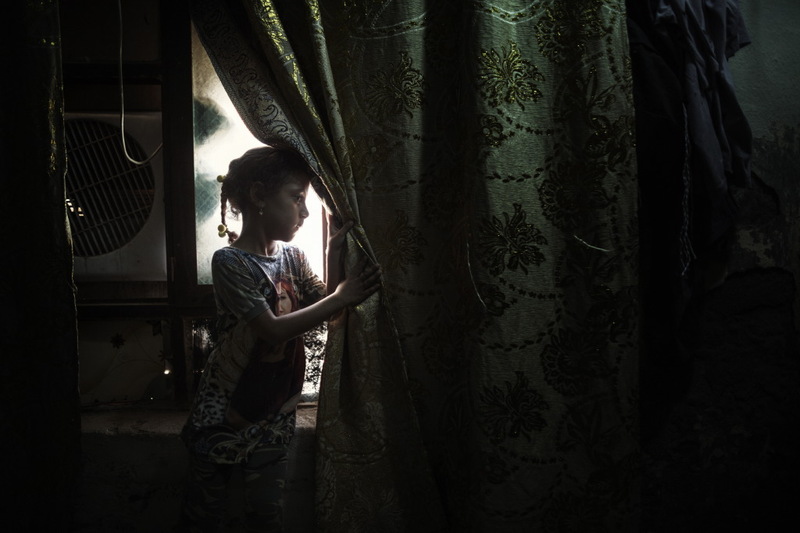 Here too, as elsewhere in other countries torn by conflict, children are the ones who pay the highest price. 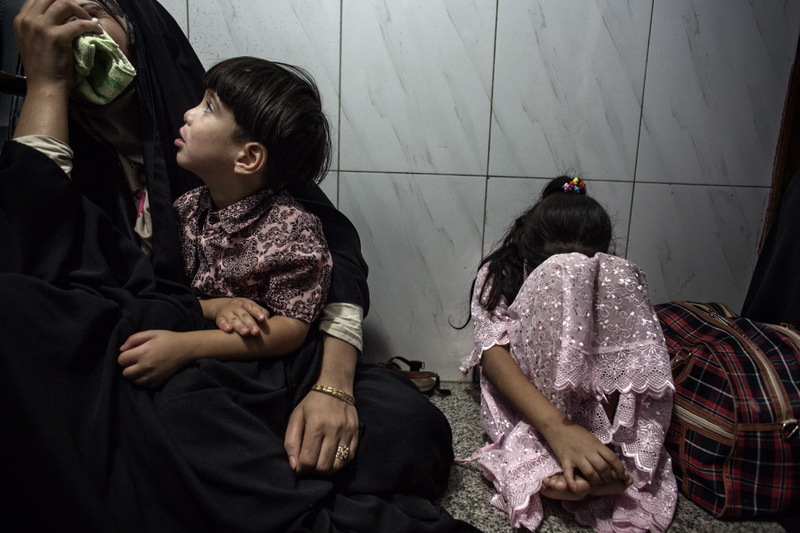 War brought to its knees an health care system that is not able to guarantee the essential services. 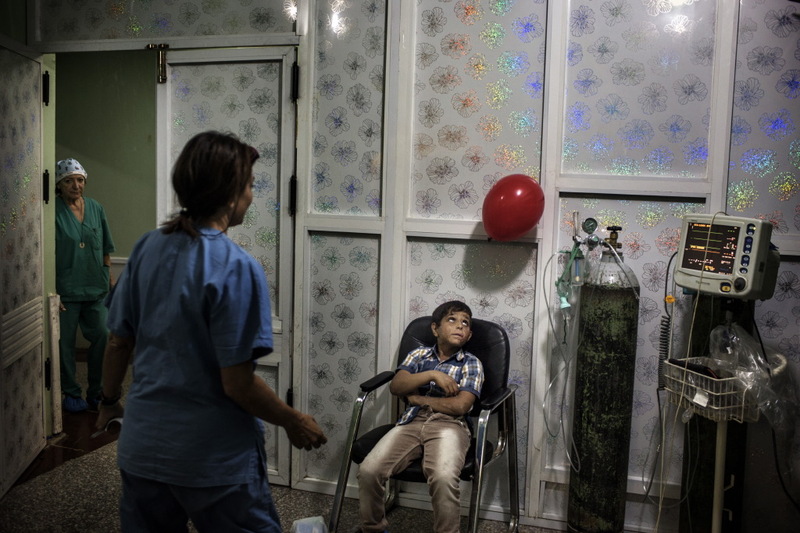 As it often happens when a conflict has left nothing but death and rubble, in this city there are organizations formed by doctors specialising in plastic surgery who, concentrating their work in a few weeks of intense activity, are able to operate on many patients, mostly children. 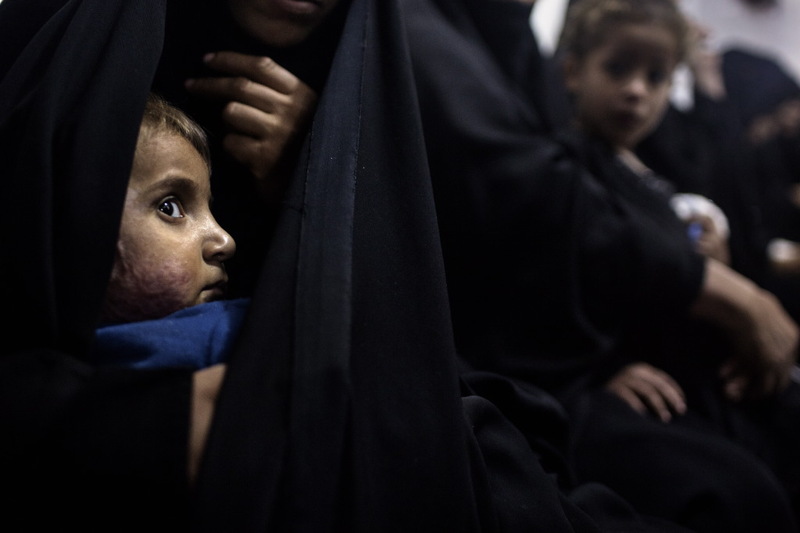 In Iraq there is a high incidence of victims of facial and body deformities due to burns caused by domestic accidents or unexploded ordnance, placed on a waiting list to be submitted to delicate plastic surgery interventions. Above all, it’s the children that are subjected to daily risks due to the complete lack of security of the places where they live in. Exposed electrical cables, gas tanks and naphtha for cooking and heating lack any form of protection. 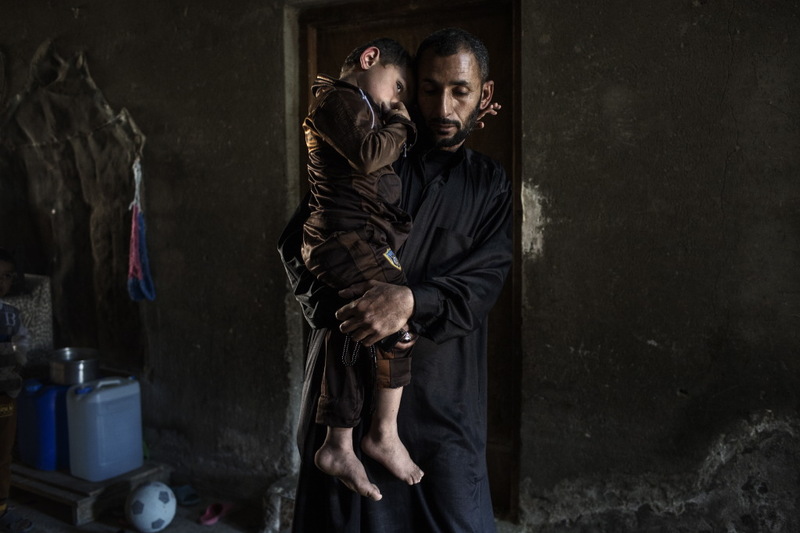 Beside Iraq is one of the countries in the world wiich have the highest rates of children who are born with cleft lip, cleft palate and other severe facial deformities. 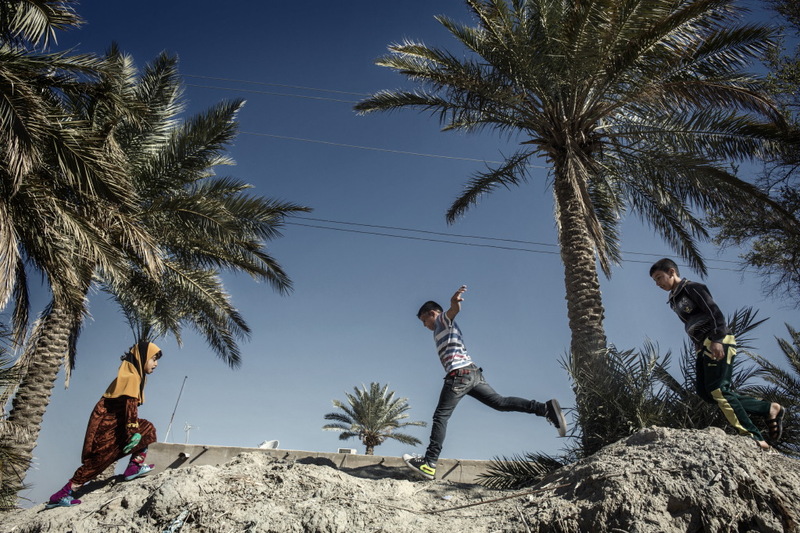 Considering that in Europe these conditions affect one in 1.200 children, in Iraq, the ratio is one in 300. The higher prevalence is certainly triggered by a genetic component of this pathology which becomes recurrent due to many consanguine marriages, often spurred by the mother’s lack of folic acid and severe malnourishment during pregnancy. 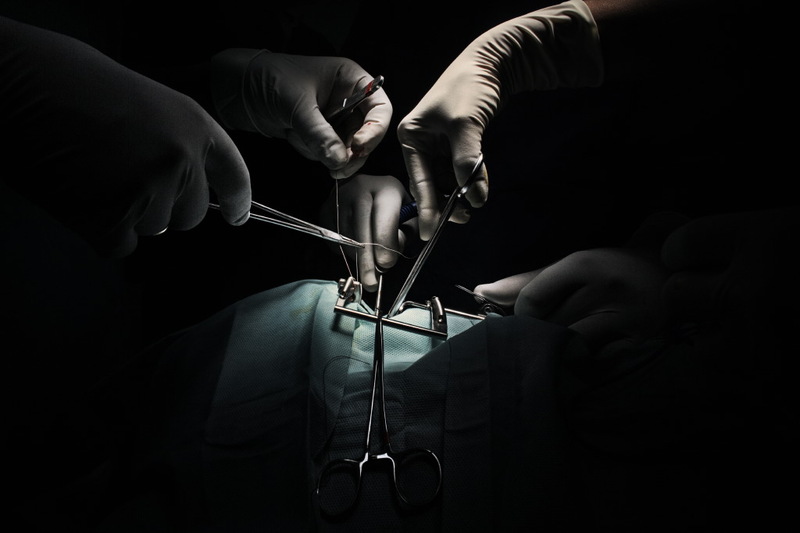 Those who cannot afford an early operation are condemned to endure a seriously incapacitating disease. 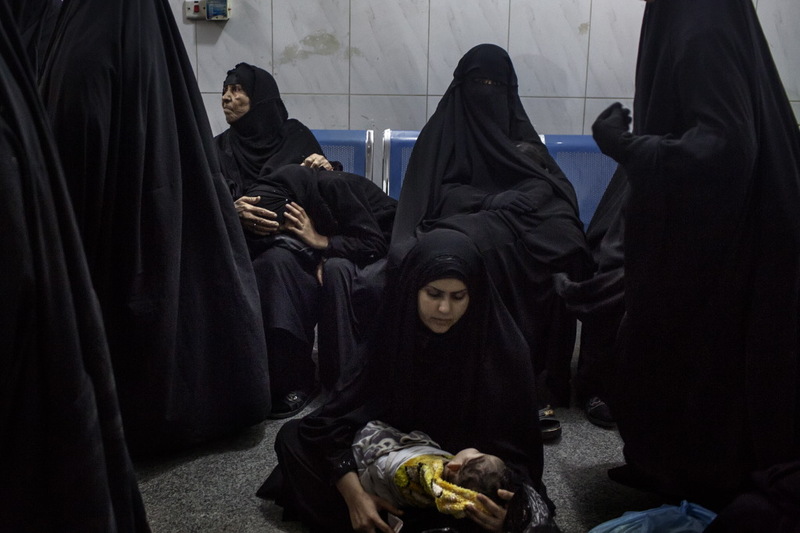 As the plastic surgeons of the NGO Emergenza Sorrisi arrive at Al Habobbi Hospital, the waiting room fills up with patients hoping to be seen and operated. 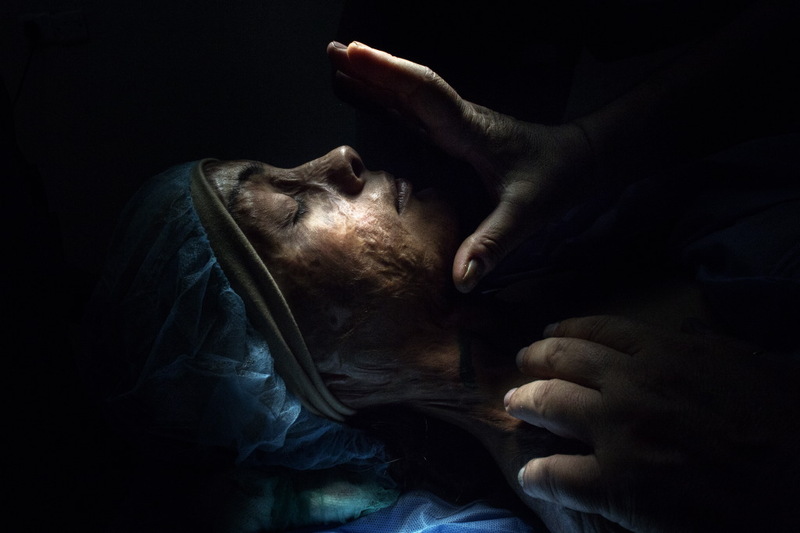 This reportage tells about the wait, the moments preceding the surgical intervention, some phases of the delicate reconstructive process, the gradual awakening. (text by Sebastiano Caputo). 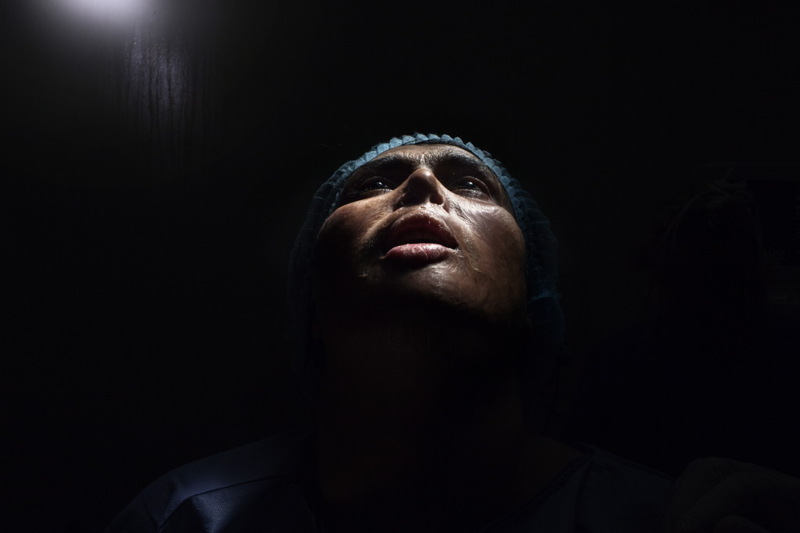 The story “Burns and war-related traumas.” by Luca Catalano Gonzaga tells the stories of women and children who had an opportunity of being operated thanks to the surgical care of the NGO Emergenza Sorrisi. Al Habobbi Hospital, Nāṣiriya, Iraq. Hanen Mohamed Ganin, 6 years old, has just arrived to the Habobbi Hospital from Musol. She has suffered severe burns to the whole body due to the burst of a gas cylinder used for cooking. Al Habobbi Hospital, Nāṣiriya, Iraq. 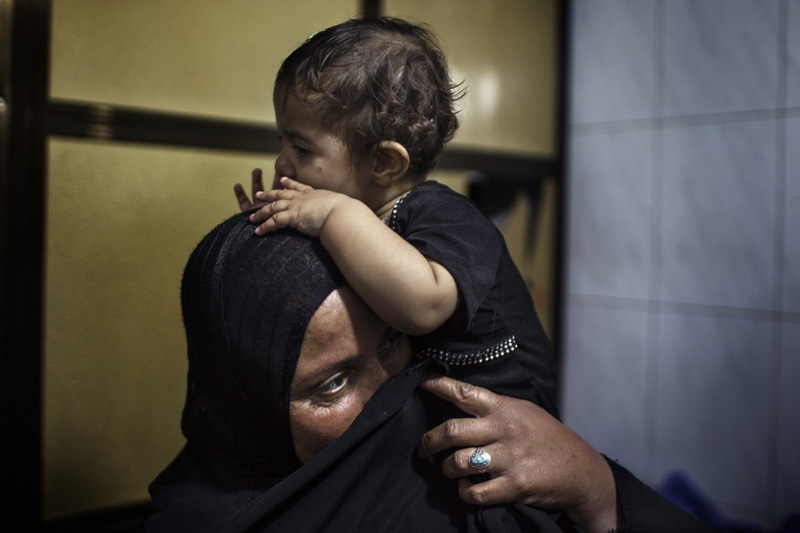 Fatima Alawi, 6 years old, holds tight to her mother before entering the operating room and undergoing the surgery for cleft palate. Al Habobbi Hospital, Nāṣiriya, Iraq. Maather Mayd Abbas, 19 years old, is about to undergo delicate reconstructive surgery after having suffered from severe burns due to a domestic accident. Al Habobbi Hospital, Nāṣiriya, Iraq. 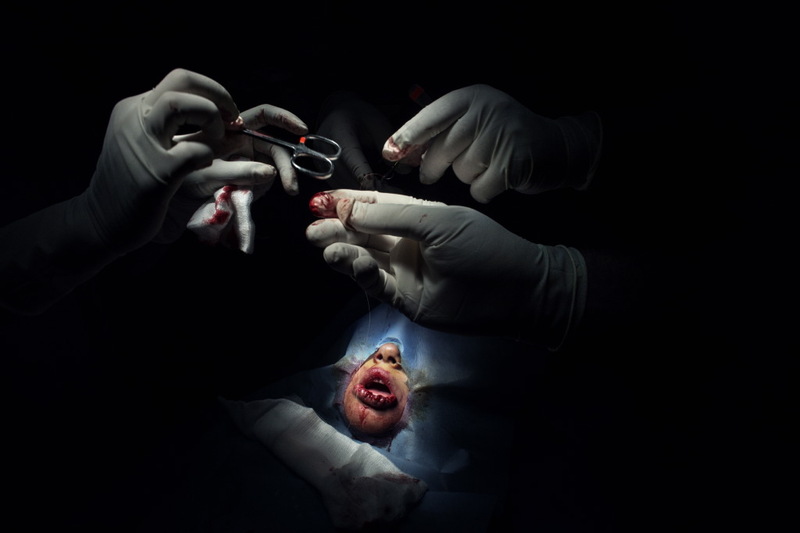 A step of the surgical procedure for the treatment of cleft palate. Al Habobbi Hospital, Nāṣiriya, Iraq. Janat Rahaman, 5 years old, suffers from a lymphangioma of the lower lip that the surgeons are treating. Al Habobbi Hospital, Nāṣiriya, Iraq. 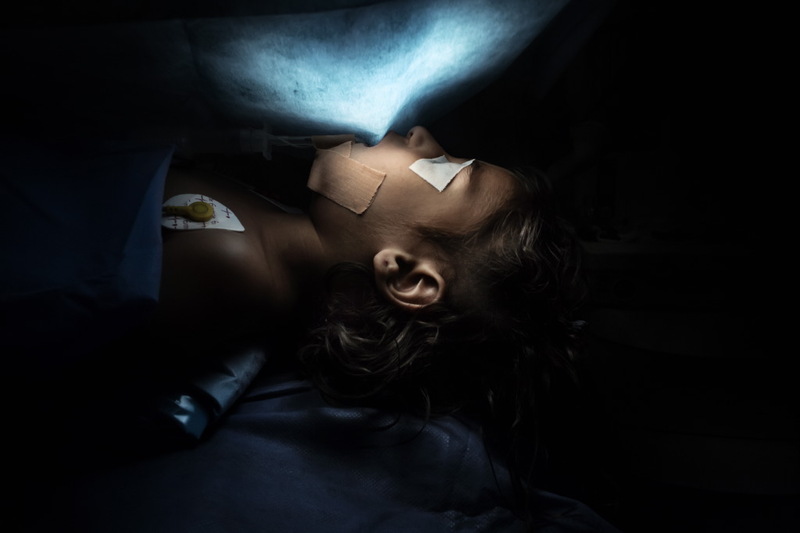 Hudasatar Zafee, 10 years old, in the operating room during the surgery for lip revision. Al Habobbi Hospital, Nāṣiriya, Iraq. Hudasatar Rahim, 10 years old, prior to surgery for cleft lip. Al Habobbi Hospital, Nāṣiriya, Iraq. 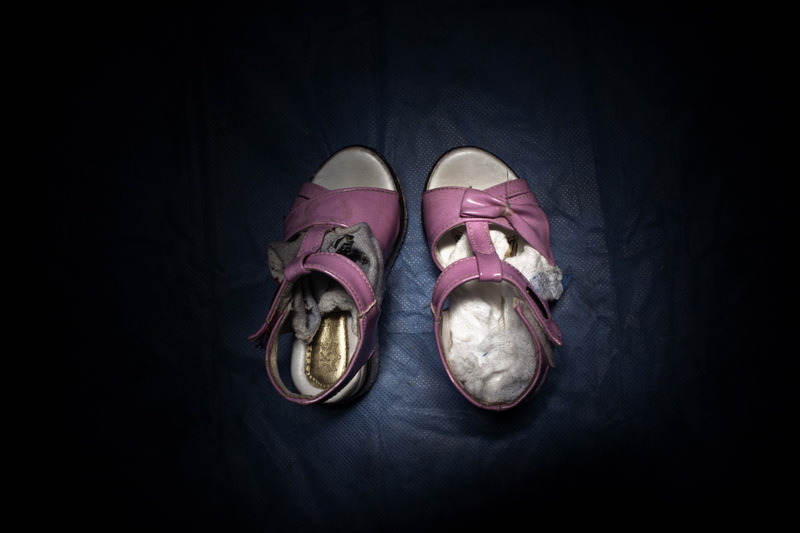 A pair of shoes of Zahara Haham, 4 years old, child operated on for lip and palate reconstruction. Al Habobbi Hospital, Nāṣiriya, Iraq. 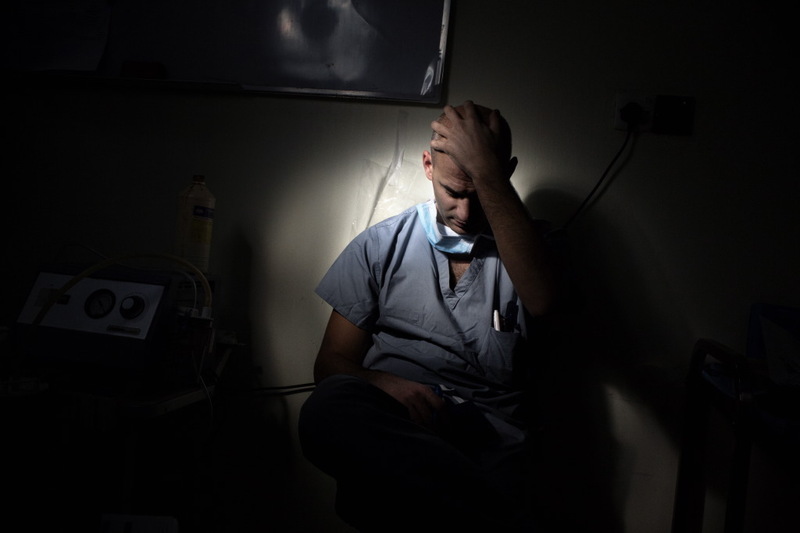 The surgeon Luigi Maria Capalorcia during a pause in between surgeries. Al Habobbi Hospital, Nāṣiriya, Iraq. 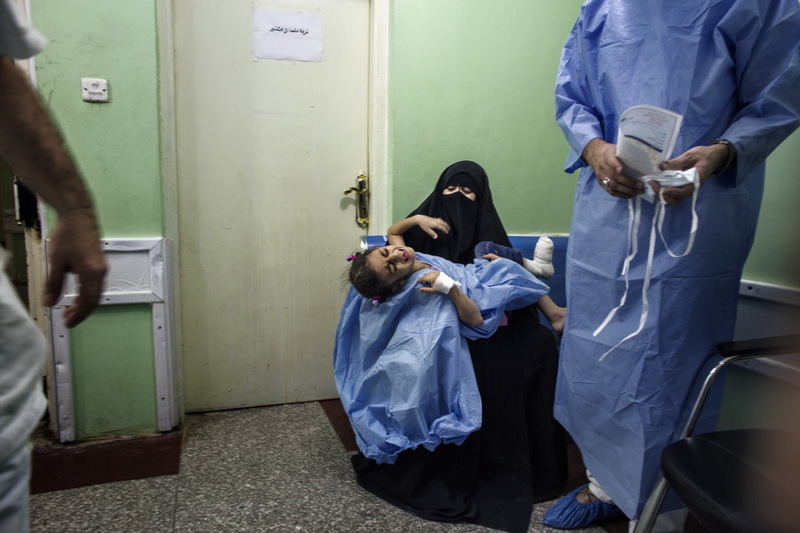 Halla Abedali, 9 years old, in the waiting room with her relatives before undergoing the surgery for cleft palate. Al Habobbi Hospital, Nāṣiriya, Iraq. This baby came to the hospital some months ago, but she was too young to be operated. Today, she underwent surgery for cleft lip. 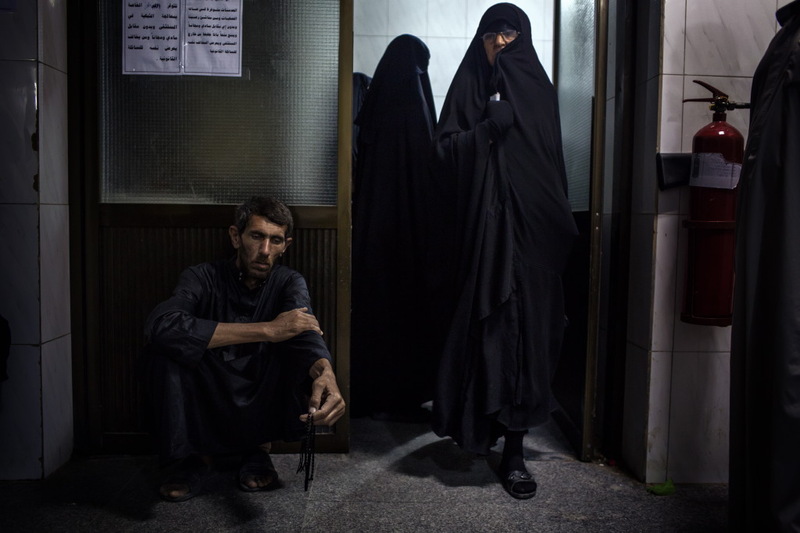 Al Habobbi Hospital, Nāṣiriya, Iraq Waiting room. Al Habobbi Hospital, Nāṣiriya, Iraq. 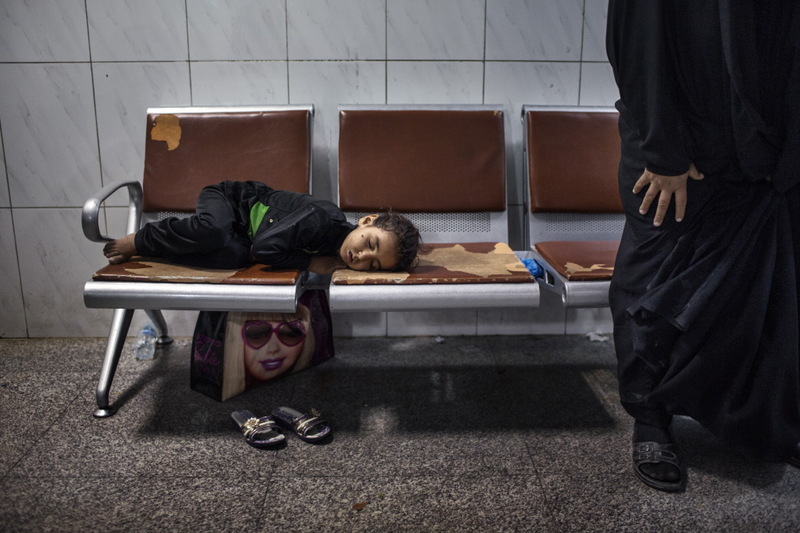 Fatima Abdolla, 6 years old, sleeps in the waiting room of the hospital waiting to be operated on. Al Habobbi Hospital, Nāṣiriya, Iraq. 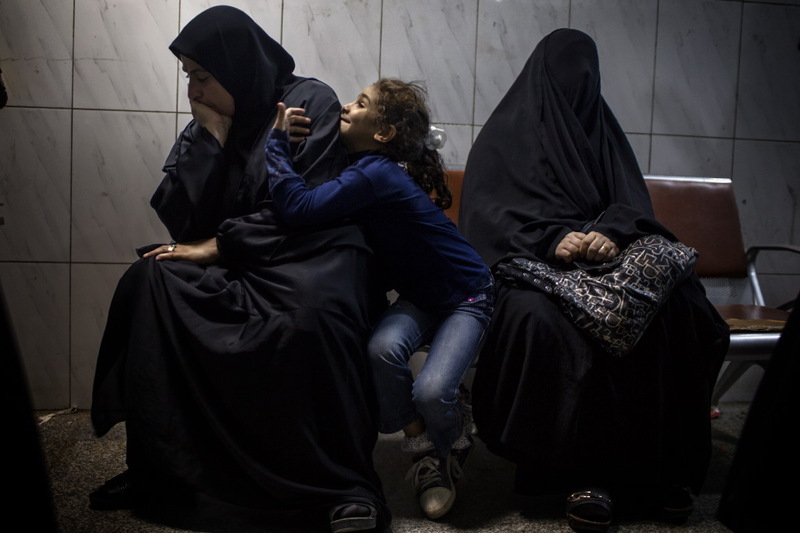 A mother waiting for her daughter to be operated by Emergenza Sorrisi’s surgeons. 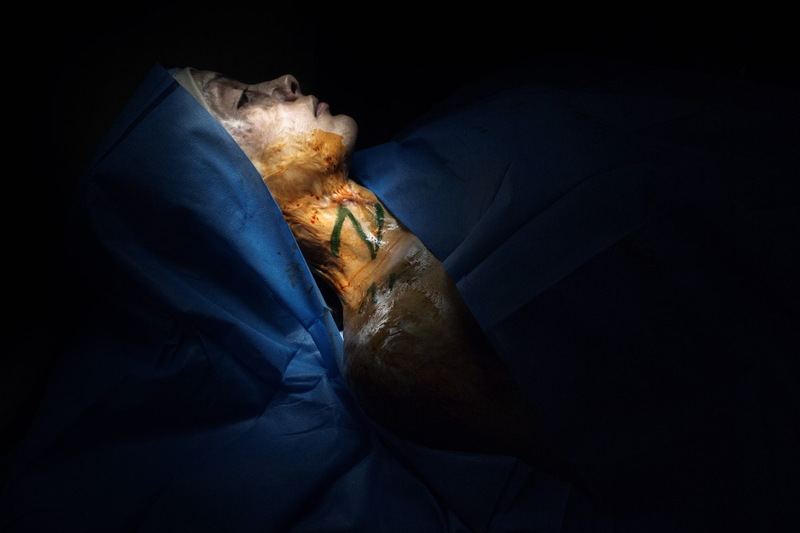 Her body is devastated by burns due to an accident caused by a short-circuit which triggered a fire. Al Habobbi Hospital, Nāṣiriya, Iraq. 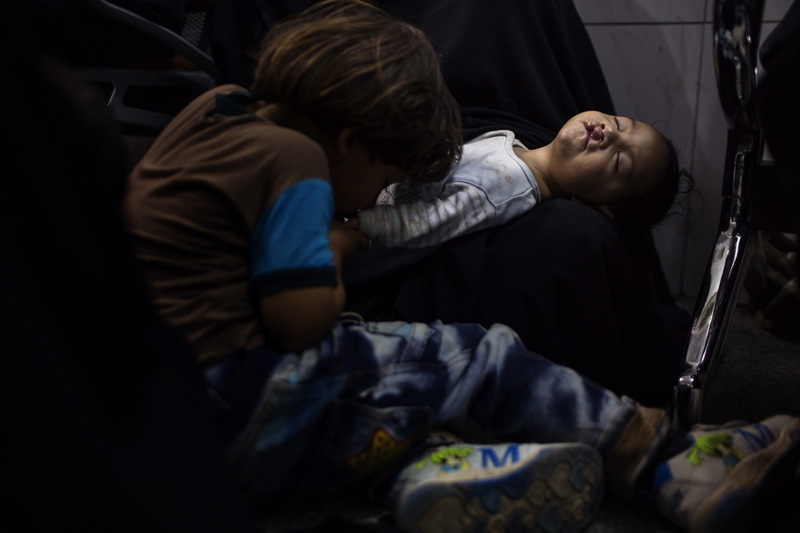 Mohammed kisses his brother Abas in the waiting room, before the surgery for cleft lip. Al Habobbi Hospital, Nāṣiriya, Iraq. Waiting room. Al Habobbi Hospital, Nāṣiriya, Iraq. Zeineb Abba 9 years old, suffering from facial cancer. Al Habobbi Hospital, Nāṣiriya, Iraq. 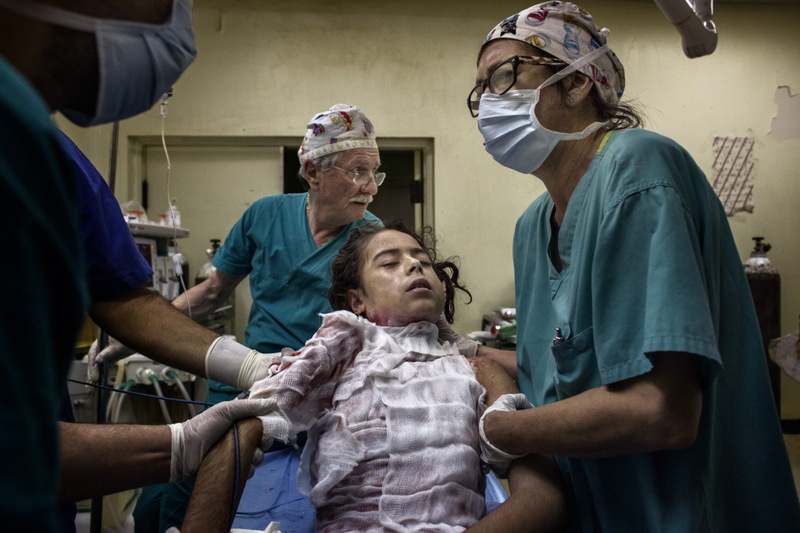 A mother tries to reassure her daughter moments before she enters the operating room. Al Habobbi Hospital, Nāṣiriya, Iraq. 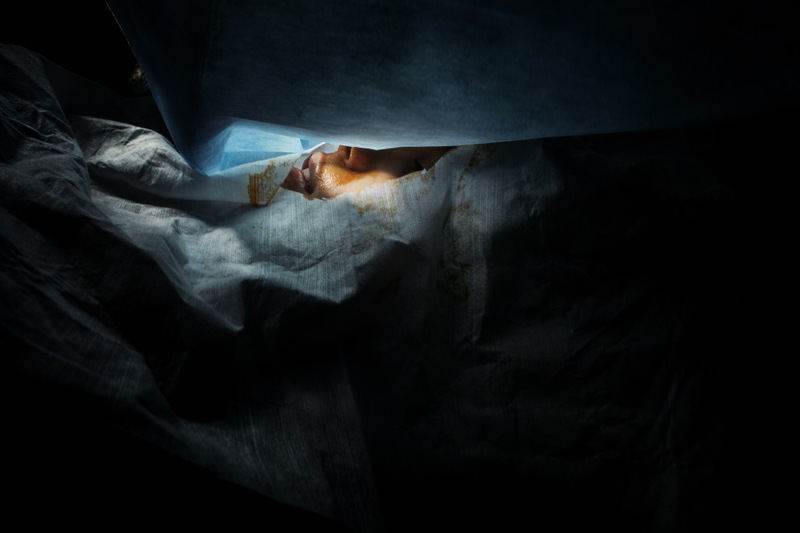 A son holds his father’s hand before entering the operating room. Nāṣiriya, Iraq. View of the city. Nāṣiriya, Iraq. Going along the streets of the city. Nāṣiriya, Iraq. 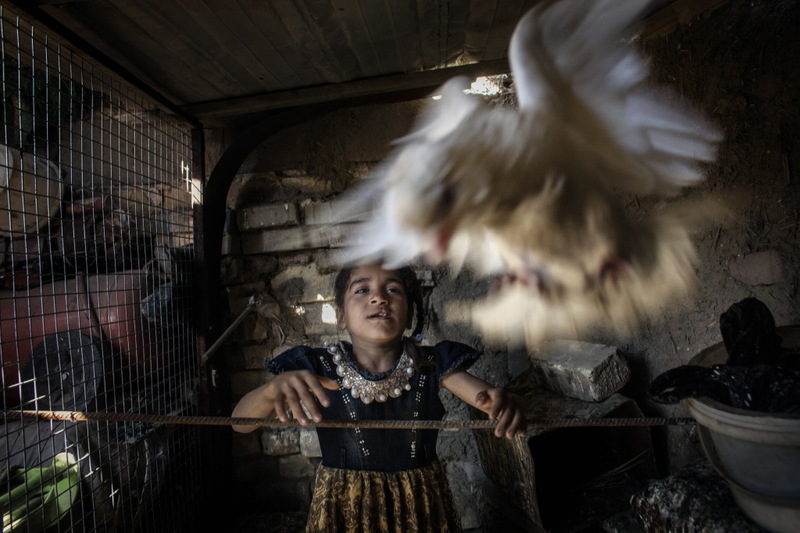 Zahara Mohammed, 5 years old, plays with a bird while it escapes from her hands and flies away. Zahara underwent a surgery for cleft lip and palate just few months ago. Nāṣiriya, Iraq. 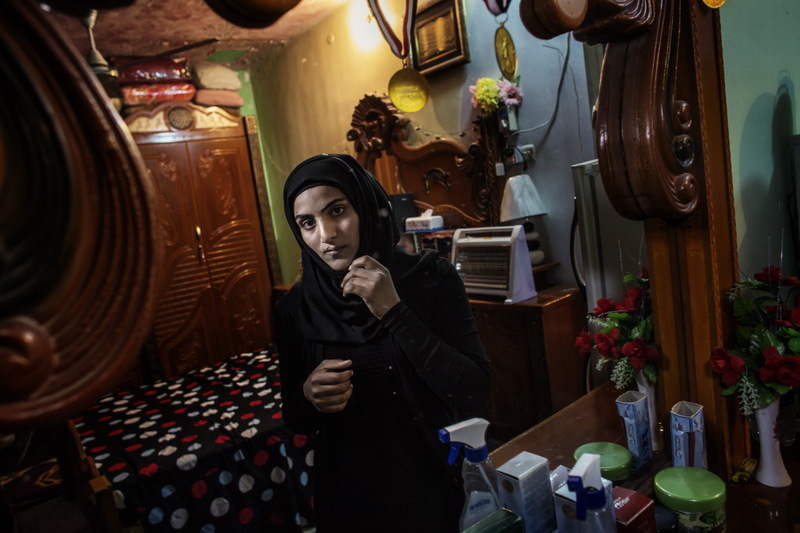 Fatima Jasim, 20 years old, in her bedroom, after lip surgery. Nāṣiriya, Iraq. 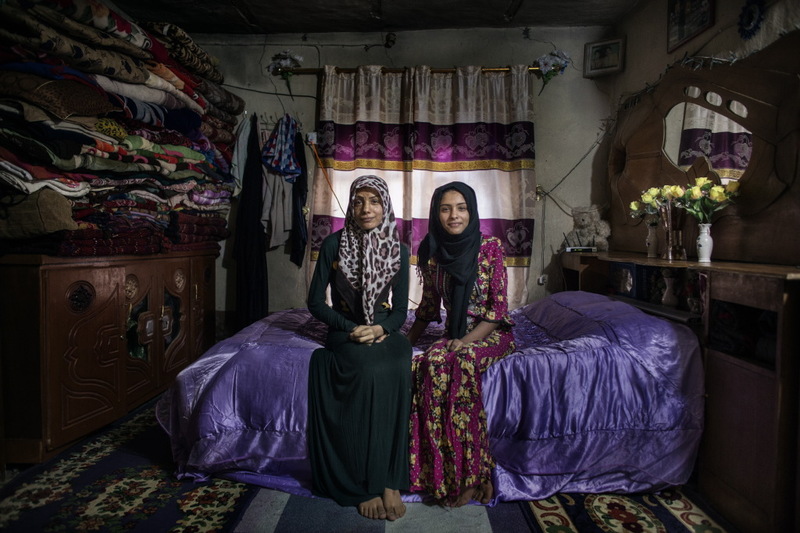 Maather Mayd Abbas,19 years old, here with her sister. Maather underwent several surgeries because she suffered from severe burns on her face and body due to the burst of a defective gas cylinder. Nāṣiriya,Iraq. Nāṣiriya, Iraq. 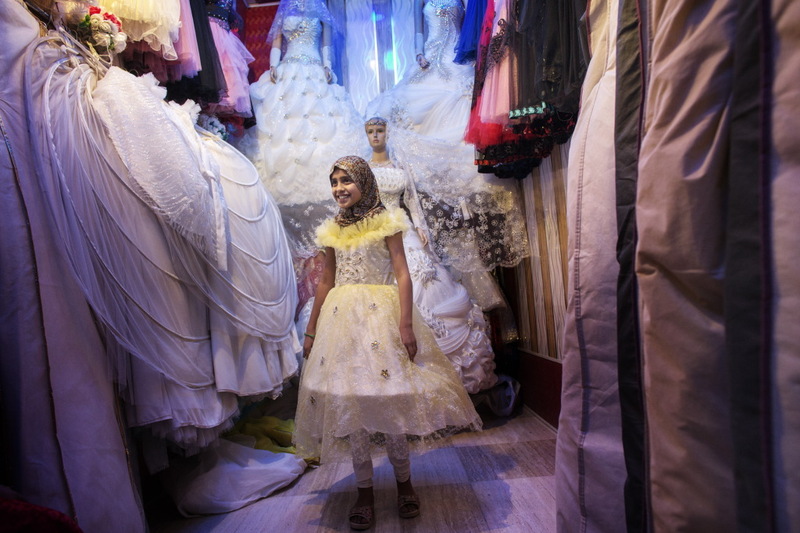 Zainab Abbas Atay, 8 years old, in in her house after the lip reconstruction surgery. Nāṣiriya, Iraq. Kerar Kadhum, 6 years old, in his house with his father. Kerar will shortly undergo surgery for angioma of the upper lip. 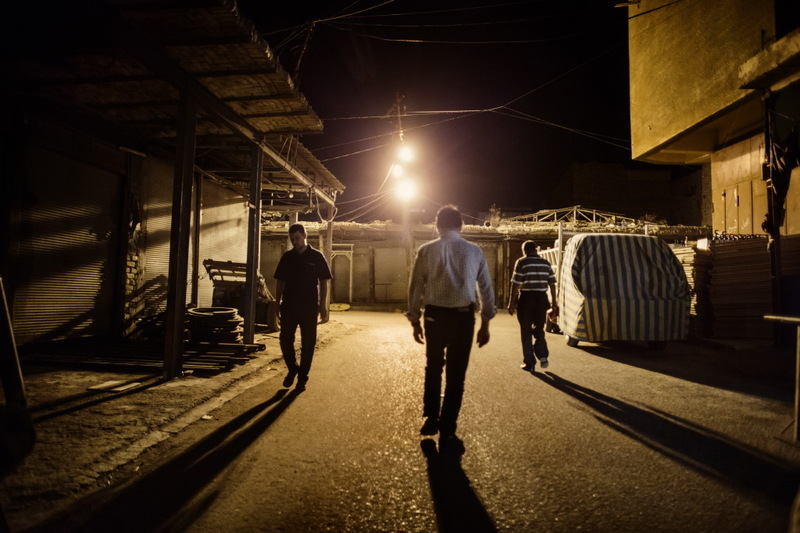 Nāṣiriya,Iraq. 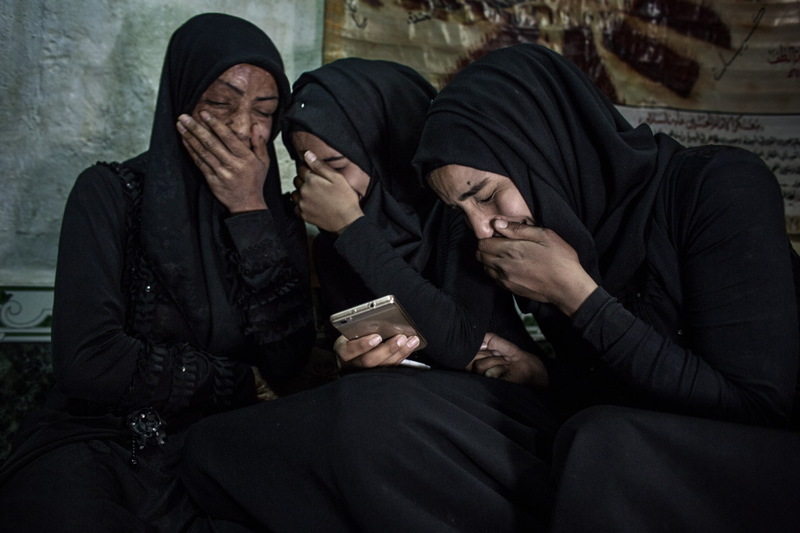 Maather Mayd Abbas, 19 years old, at her own house. Maather underwent several surgery because she suffered from severe burns on her face due to the burst of a defective gas cylinder. Nāṣiriya, Iraq. Prayers inside the Mosque. Nāṣiriya, Iraq. 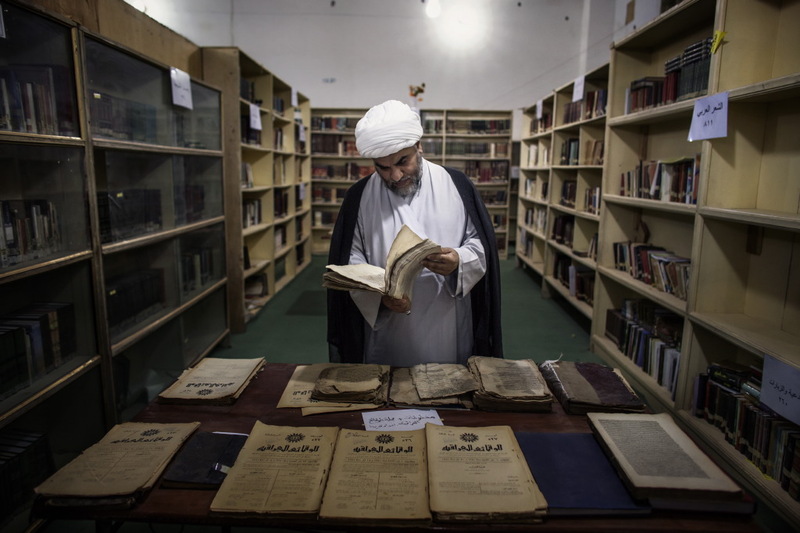 Library inside the Mosque. 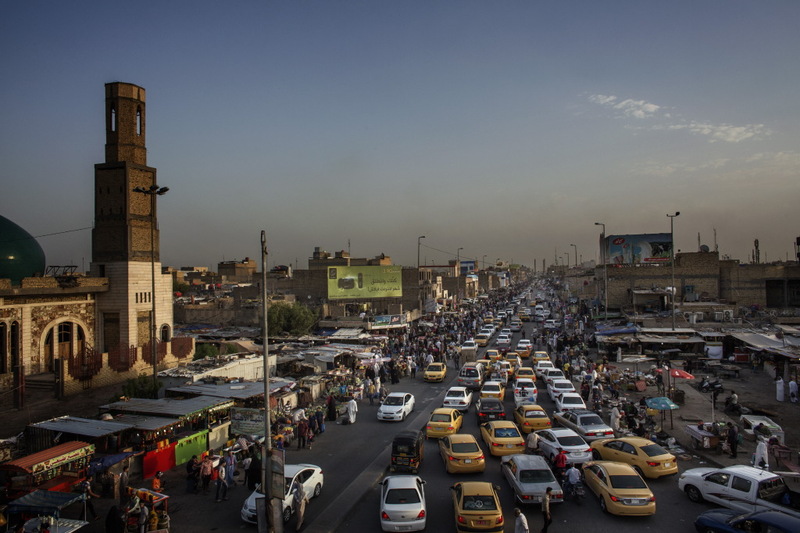 Nāṣiriya, Iraq. Ahmed Hussen Suky (in the middle), 10 years old, badly burned himself as his father’s car caught fire during to an attack. In November 2016 he underwent a reconstructive surgery. Now he’s gone back to play with his friends. Al Habobbi Hospital, Nāṣiriya, Iraq. 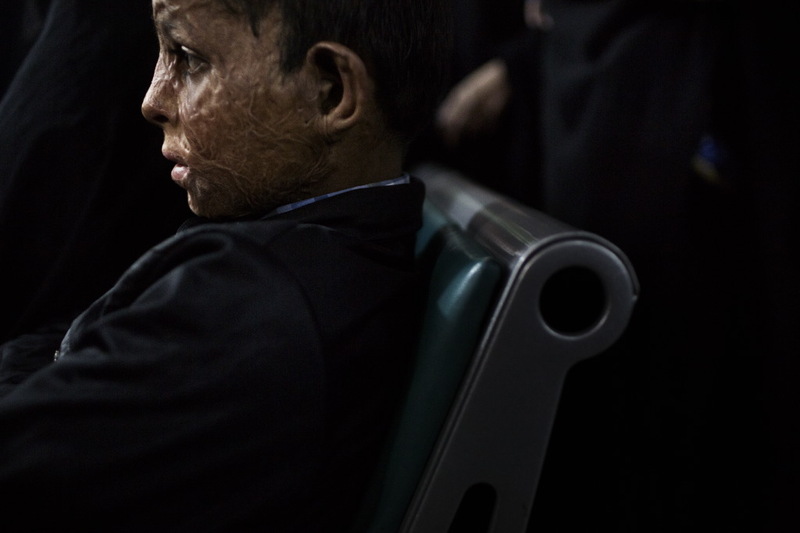 Worod Habieb, 11 years old, suffers from extensive burns on the entire body. Al Habobbi Hospital, Nāṣiriya, Iraq. 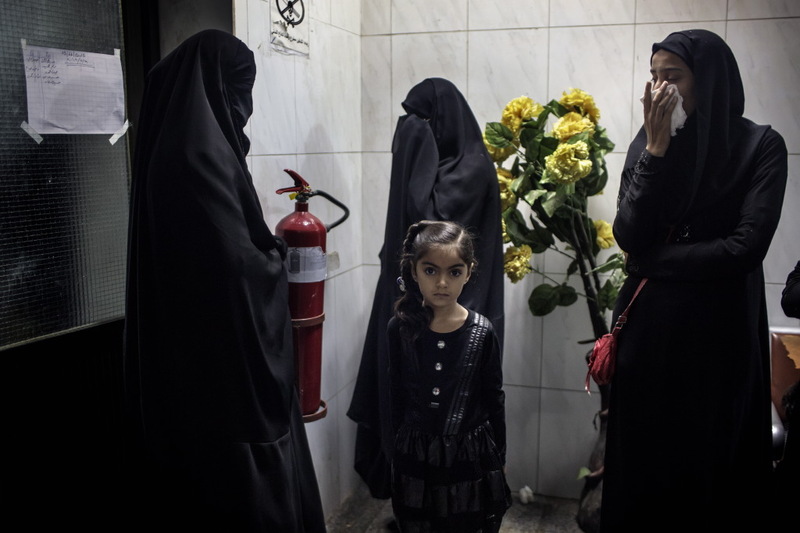 Meriam Mehdi Neyty, 11 years old, suffered from severe burns to one hand due to hot oil. 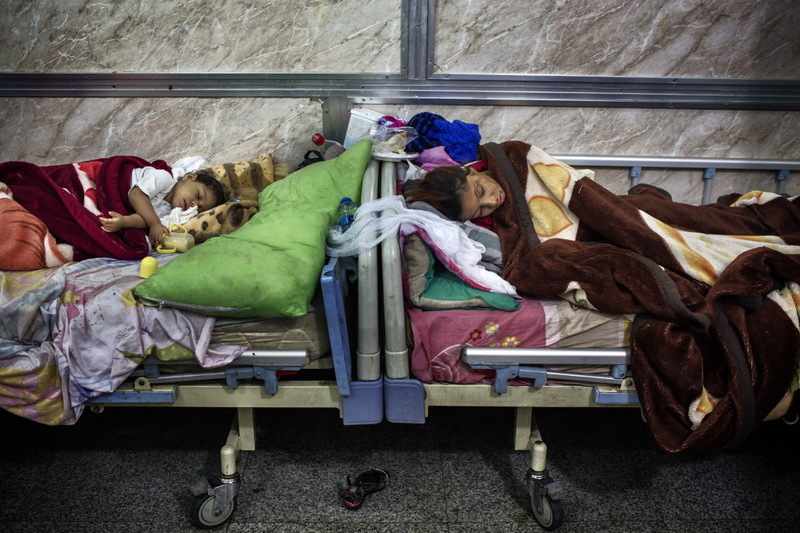 Al Habobbi Hospital, Nāṣiriya, Iraq.Two young patients still under anaesthetic right after surgery due to severe burns. Al Habobbi Hospital, Nāṣiriya, Iraq. 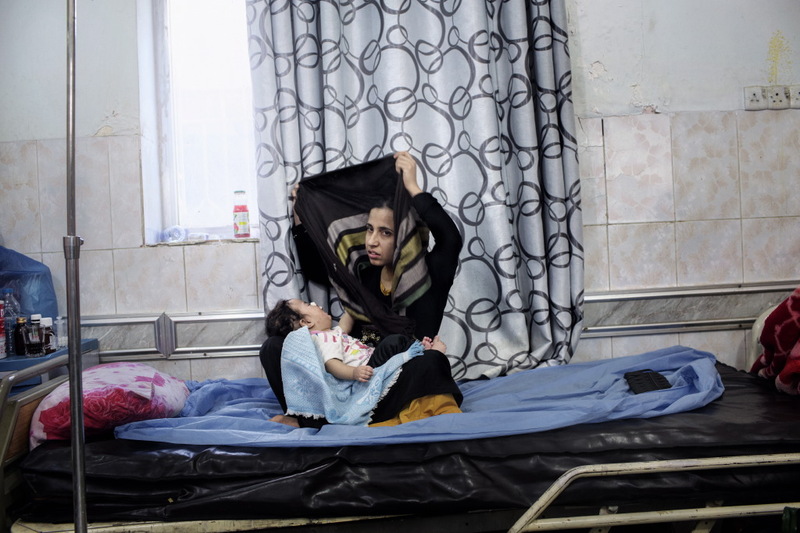 A mother and her child in the hospital aisle after surgery to reconstruct the child’s nose which had been bitten by a stray dog. Al Habobbi Hospital, Nāṣiriya, Iraq. 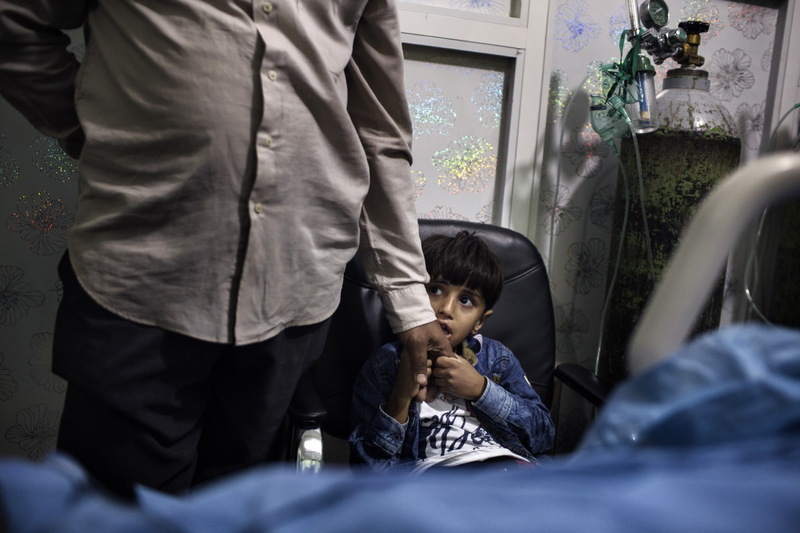 Ahmed Hussen Suky, 10 years old, badly burned himself in his father’s car, which caught fire due to an attack. Al Habobbi Hospital, Nāṣiriya, Iraq. 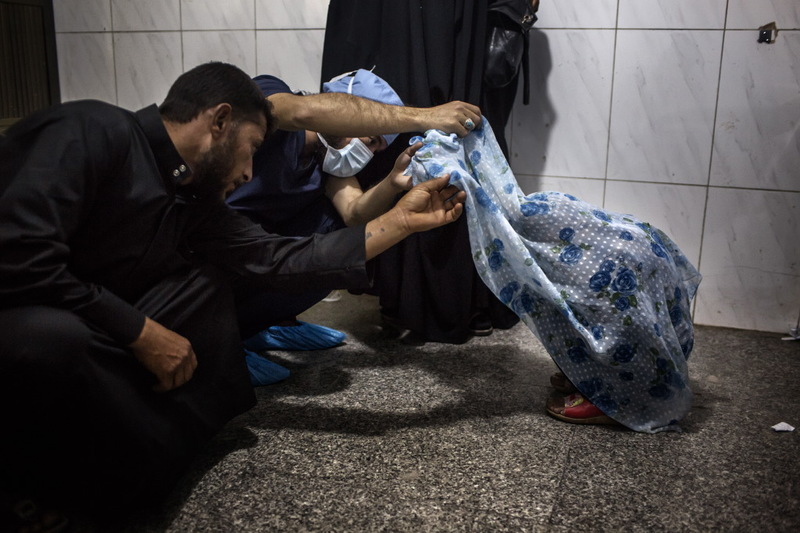 A father prays for his son while he waits during surgery due to sever burns. His son Karar, 16 years old, burned by a gas cylinder burst while he was walking along the street with some friends. Al Habobbi Hospital, Nāṣiriya, Iraq. 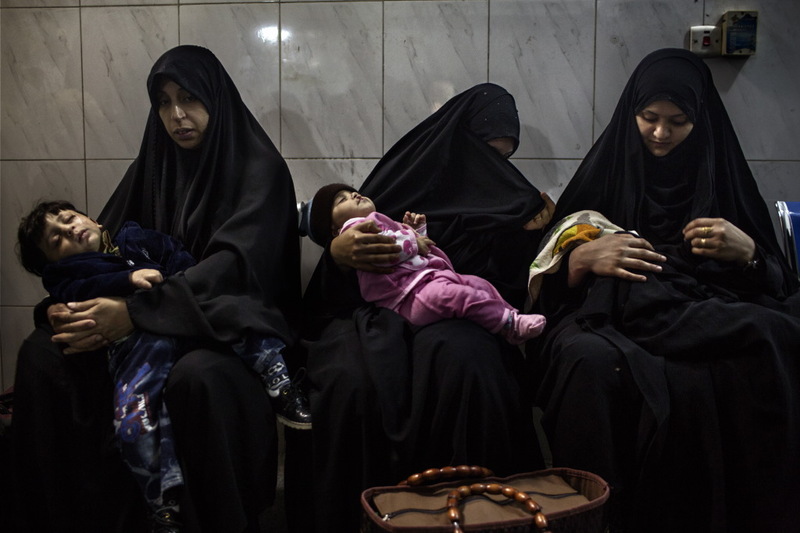 Patients waiting to be visited, laugh as the photographer Luca Catalano Gonzaga, gets closer to them with him photo camera. Al Habobbi Hospital, Nāṣiriya, Iraq. 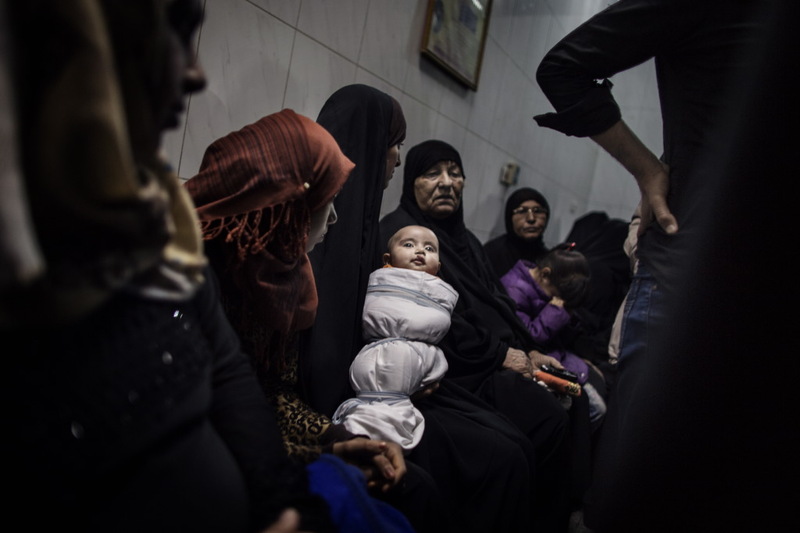 Haydar Kalad 3 years old, who has suffered severe burns to the body, waiting for medical examination. Al Habobbi Hospital, Nāṣiriya, Iraq. 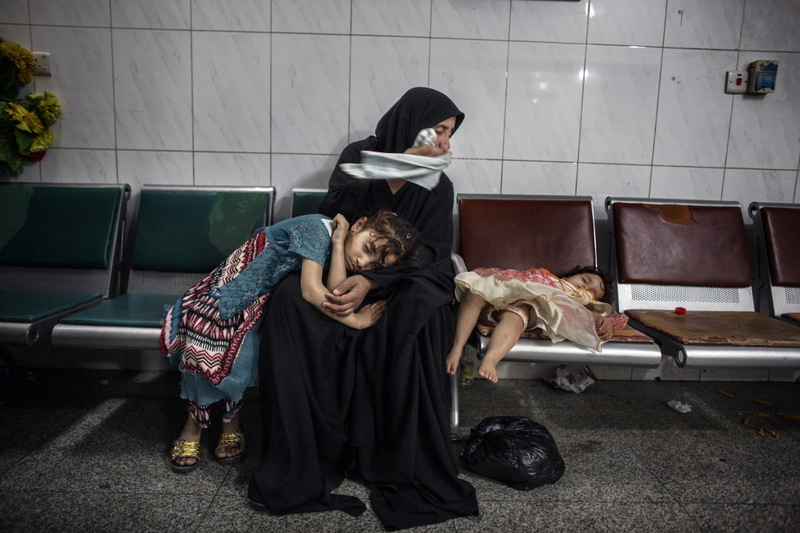 Mother and child waiting before the medical examination. Al Habobbi Hospital, Nāṣiriya, Iraq. 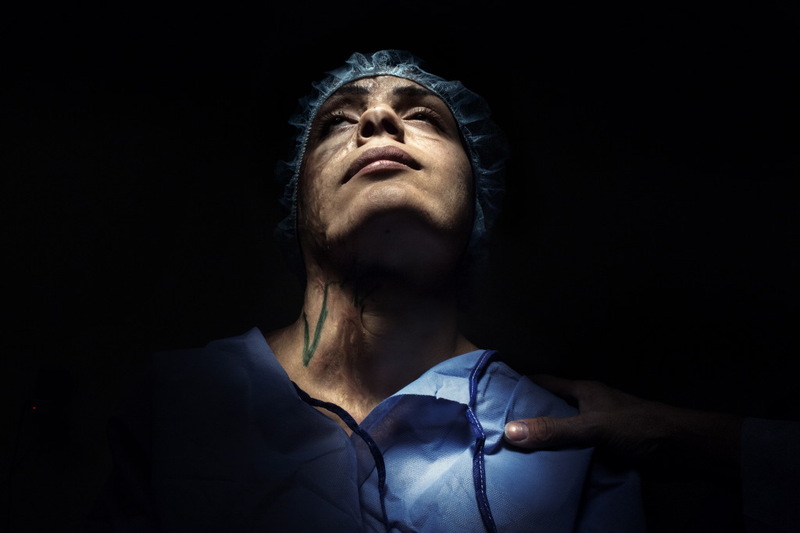 Axilla Mazal, 27 years old; due to the burst of an oven she has suffered severe burns to the whole body that now must be treated surgically. Al Habobbi Hospital, Nāṣiriya, Iraq. 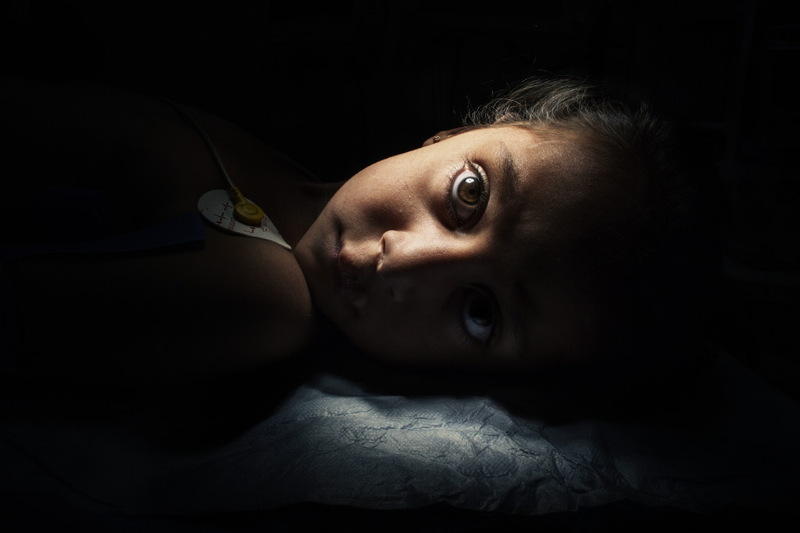 Zainab Abbas Atay, 8 years old, in the operating room prior to the lip reconstruction surgery. Al Habobbi Hospital, Nāṣiriya, Iraq. 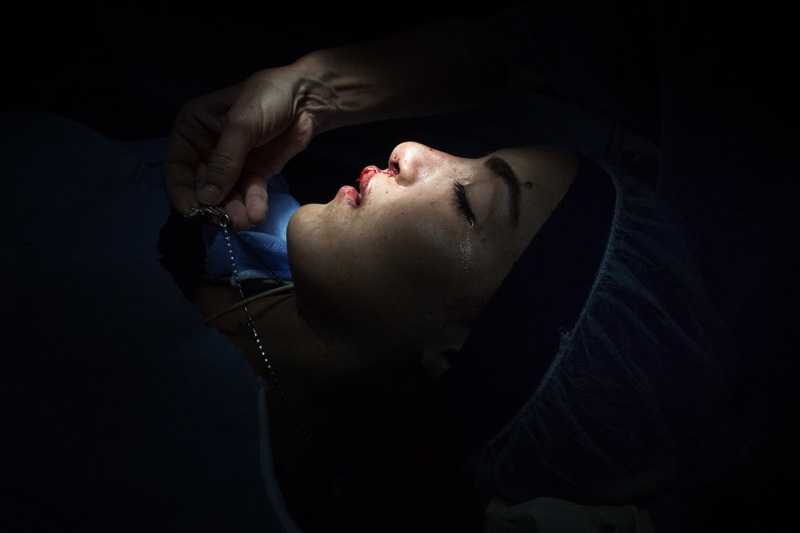 Fatima Jasim, 20 years old, is about to undergo lip surgery. 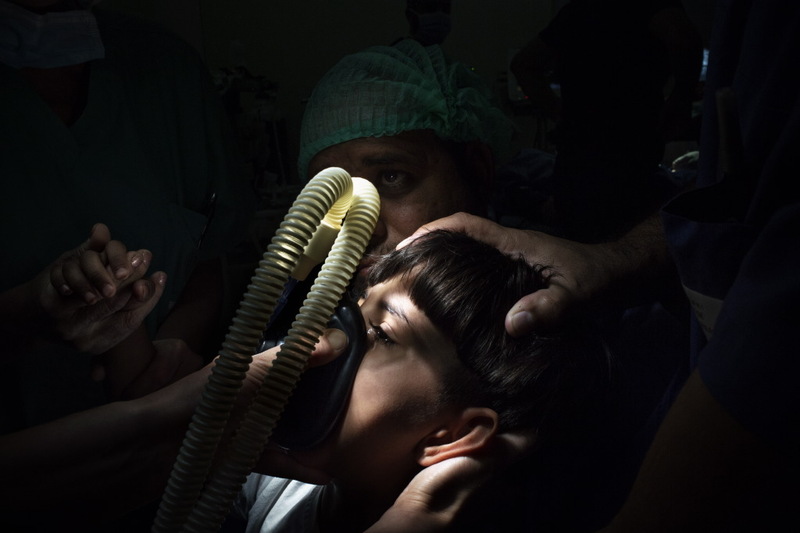 Al Habobbi Hospital, Nāṣiriya, Iraq A small patient undergoes anesthesia before surgery. Al Habobbi Hospital, Nāṣiriya, Iraq. 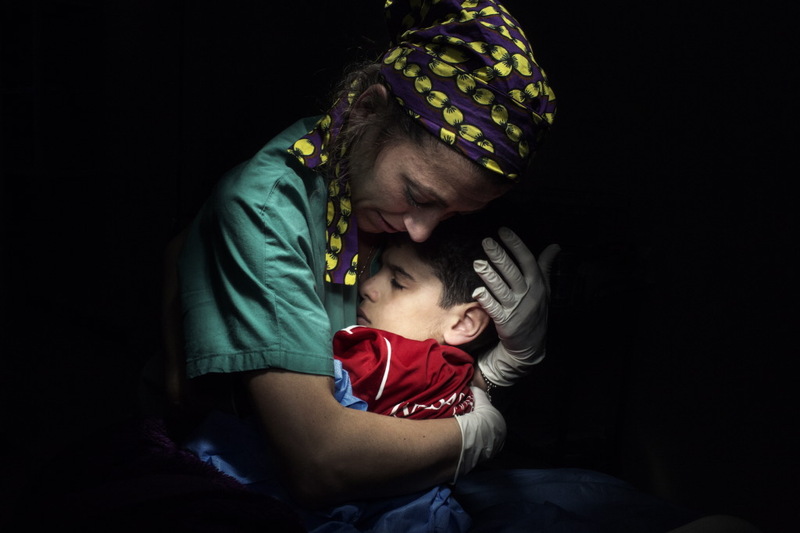 The nurse Nadia Alamia, hugs a young patient to reassure him before surgery. Al Habobbi Hospital, Nāṣiriya, Iraq. 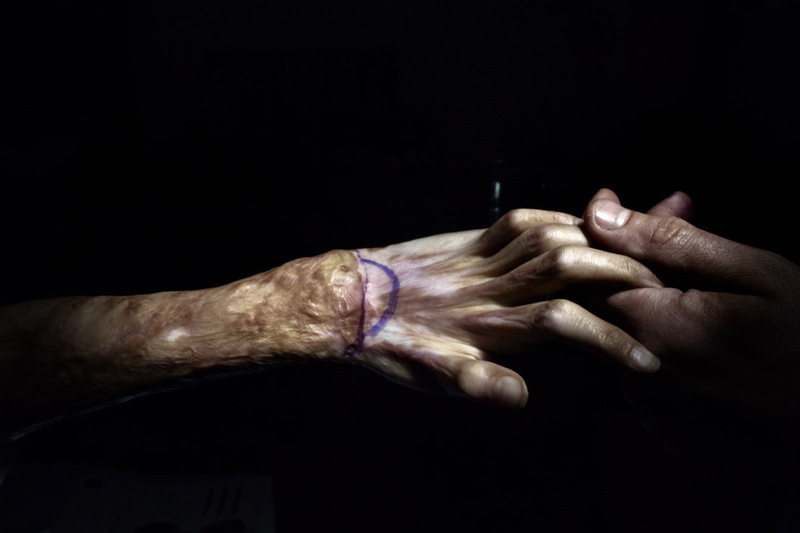 As a result of burns caused by hot oil, this woman’s hand tendons suffered severe injuries: only a long and delicate surgery can restore the movement of the fingers.